12" High. FREE. Located in the Mt. Hermon Area. Call 434-728-7700. Grass Catchers, Parts and More, in Excellent Condition! Call 434-429-8436. Asking $45 for Each. 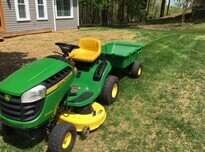 Call 434-799-4644.
for Lawn Mower, in Good Condition. Call 434-250-8616. 2012, 17.5 Engine, 5 Speed, 42" Cut. Asking $1,100. Call 434-250-4613. Mow and Weed-Eat Yard. Call 434-251-7432. You Cut and Haul. Call 434-548-8077. 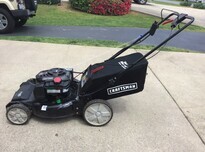 48" Mower, Garage Kept, with Low Hours, Asking $3,200. 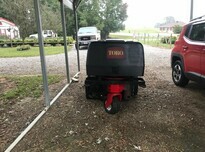 Call 434-857-6785.
with Fiberglass Body, and 3 Other Mowers. Asking $60 Each. Call 336-562-3057. 48" Cut. Asking $450. 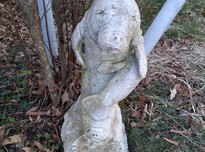 Call 434-799-4644.
in Good Condition, Asking $35. Call 434-822-5919. 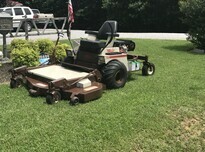 6' LMC 3 Pt Hitch Finish Mower, in Good Shape. Asking $600. Call 434-548-3360. Asking $5 Each, or $20 for All. Call 434-685-7834. Asking $20. Call Between 6:00PM-9:00PM, 434-429-5789. 12 HP, New. Asking $600. Call 434-836-7799. Need a Right Hand Transmission for Cub Cadet Model RZT22. Call 434-203-4041. Side Discharge, 3 Pt Hitch, Needs Some Work. Asking $750. Call 434-489-4232.
and Lawn Mower Parts. Call 434-250-3128. Pulls Behind Lawn Mower. Asking $30. Call 434-483-3287. Need a Cub Cadet RZT22 for Parts. The More Complete, the Better. Call 434-203-4041. 2" 8 Shaft Size, fits Kohler Courage, 6- 1" Shaft. Asking $50 Each. Call 434-713-4091. Vacuum Shredder. Call for Price, 434-250-3128.